WordPress users everywhere can generate traffic to their website in a new and creative manner – by creating their own social network on their WordPress website using the PeepSo plugin. The concept of this plugin itself is a brilliant one because it gives website developers the opportunity to create an entire social networking community on their website. This means that people of all religions, races, and creeds can gather on a single platform to interact with each other. The website’s private and one of a kind community will also be completely under the control of the website’s administrator, so it’s easier to create a satisfying experience for the community members. It is also a great way to create an impact on people’s lives by giving them a platform from which they can communicate with their loved ones and keep in touch with those who live far away. The best part of this plugin is the number of add-ons that are offered which allow the website developer to give community members a wholesome medium through which they can interact with one another. Location allows members to give details about their location to other community members. Polls allows members to hold ask a question and get other members to vote on the best option. AutoFriends lets members to be instant friends with selected community members. Markdown allows members to format texts in status updates, posts and chats in a variety of ways. PaidMembershipsPro gives users a list of membership offers that they can avail in order to make their networking experience increasingly smooth and interesting. 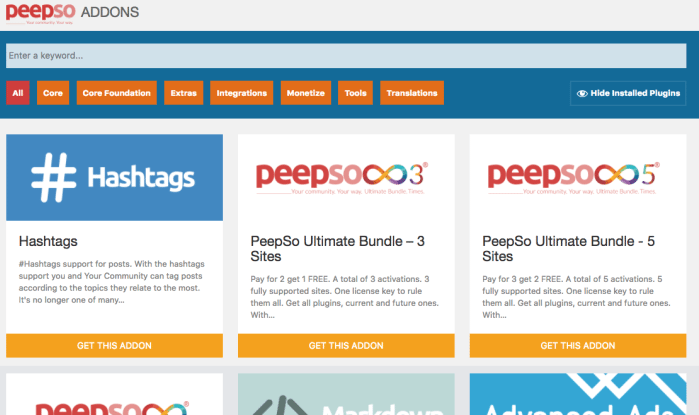 PeepSo Ultimate Bundle for 5 sites costs $1199. All three bundles provide access to all of the plugins mentioned above and all future plugins, require a single purchase, provide a yearly renewable subscription and a single license key. Each Monetization add-on costs $99, but $40 can be saved upon purchasing the set. PeepSo is a fairly easy way for anyone to create their own social network and it is a brilliant concept for anyone looking to create a community. PeepSo has made it simple for even the amateurs of WordPress by creating. 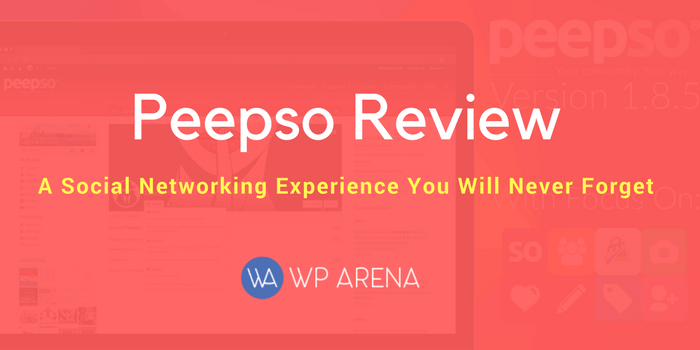 For those looking to create an interesting networking experience, try using the PeepSo plugin and one of these BuddyPress themes for the website. Next Post Now You Can Create Facebook Apps with WordPress!